Step inside No Vacancy Lounge and you might feel as if you've gone back in time and traveled to the future all at once. The elegantly designed Art Deco interior contrasts with and complements its distinctly high-tech production systems, which are integrated into almost every corner of what used to be the original McCormick & Schmicks at Southwest First Avenue and Oak Street in Portland. Old Town's newest lounge and late-night entertainment hub opened in January to rave reviews and a consistently packed house. 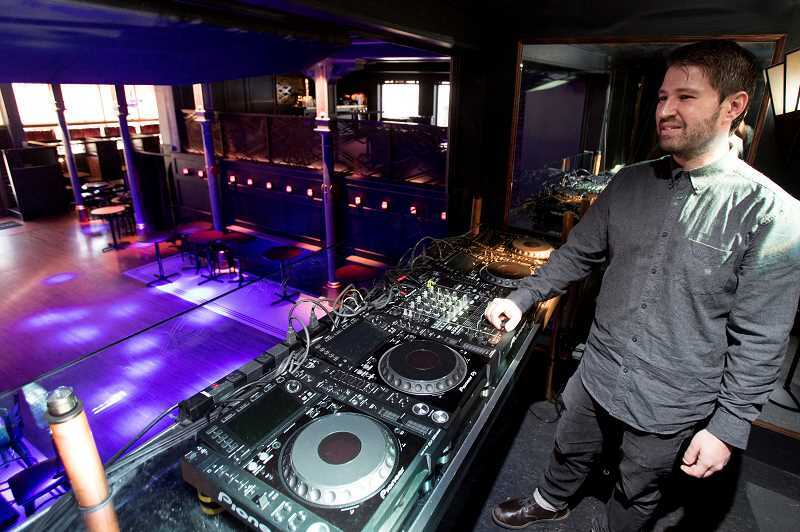 This fresh take on the tired nightclub motif is the brainchild of Lake Oswego-native Rick Sheinin and his three partners, who had a vision to bring a new type of experience to Portland's downtown club scene. Taking into account the city's burgeoning technology and creative industries, as well as the type of people those industries have attracted, Sheinin and his partners saw a void and sought to fill it. "There really wasn't a place for that crowd that feels a little more mature," Sheinin says. "A place that looks as good with the lights on as the lights off, and is really a place to feel comfortable." Six years ago, Sheinin returned to Oregon after a stint studying, working and living in Southern California. After graduating from Lakeridge High School, he moved to Orange County and attended Chapman University, studying political science and digital art. "I ended up staying down there for a while, coaching lacrosse and just kind of living the beach life," Sheinin says. "I thought I'd give Portland another try because it's changed so much since I was growing up. It's a city on the move." After pursuing a graduate degree at the Claremont Colleges, he decided to return to Oregon and start a marketing-advertising business called FOMO Media, which specializes in helping lifestyle brands better engage with their audience through mobile relationship management and analytics. The company took off, and it opened doors for Sheinin to expand his business as he continued to meet new professionals. One of those people was Billy Vinton, the founder and creative director at Dot Dot Dash. Vinton was working on a series of underground parties, pairing experiental art showcases with music. He asked to use Sheinin's offices as a venue, and the two partnered before eventually outgrowing the space and moving on to hosting pop-up parties in locations all across Portland, from warehouses and basements to a rooftop on Alberta Street. "I was travelling to San Francisco a lot, and I kinda saw what was going down there in the art and music scene. A lot of these underground parties had these installations cooler than anything at the clubs, because it was a bunch of tech nerds bringing out their crazy projects. And it was always surrounded by music, partying and drinking," Vinton says. "I thought, why aren't we doing this in Portland?" 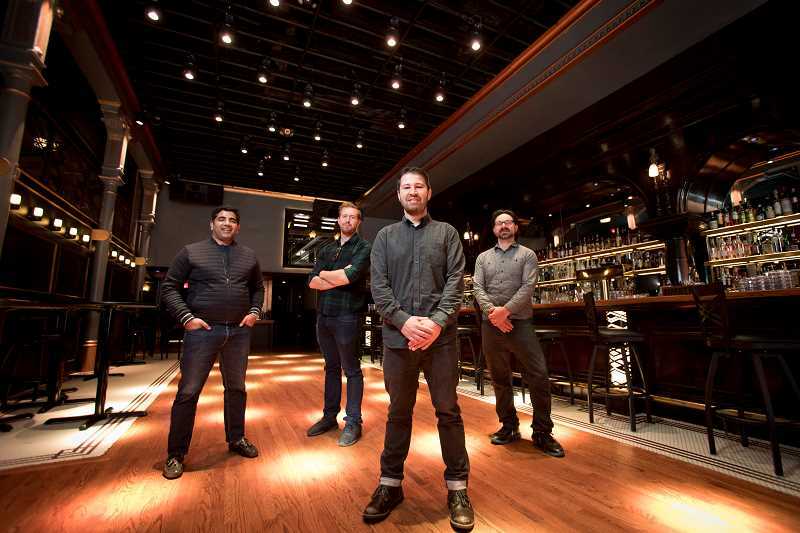 After hosting several more events at venues like the Doug Fir Lounge, 45 East and Holocene, Sheinin and Vinton were approached about an opportunity to purchase the old McCormick & Schmick's space in Old Town. They brought in two more partners, Nitin Khanna and Jessey Zepeda, found a good group of investors and bought the space. It was an opportunity, Sheinin says, for them to build a new type of lounge in Portland from the ground up, an opportunity to execute a vision to fill a void they saw in the city's nightlife scene and create a space where young professionals could feel comfortable spending the evening, having a good cocktail and enjoying some music. It wasn't all smooth sailing, though. The building they purchased was built in 1886, which means there were many restrictions on what could be done. Luckily, the space's aesthetic wasn't entirely different from the one they'd hoped to create. "Getting to execute our vision was great, but it was obviously 10 times more challenging than what you anticipate, even when you anticipate it's going to be a challenge," Sheinin says. "Our goal with this place was Art Deco through and through. We wanted to feel that era, but also integrate technology in a way that really hasn't been done in town." To do that, they installed a 57-foot theatrical grid on the ceiling with 6,000 movable pixels of light and a four-point sound system, all controllable from a single media center. Branding of the space was really important, so reusing as much of the old space as possible — such as refinishing the old 1800s bartop brought in by Bill McCormick — helped set the atmosphere, while also retrofitting and upgrading all the technology. Staffing was another challenge, but after identifying former Produce Row general manager Marcus Chase as their head honcho, bringing in fellow Lake Oswegan Will Storey as his assistant and Zach Edwards as bar manager, the other pieces slowly fell into place. "We took the startup approach to opening a club, which is funny to say, but I don't think anyone in Portland has ever done anything like this before," Vinton says. "We really wanted to exceed expectations because the bar was so low." Open Wednesday through Saturday evenings from 4 p.m.-2 a.m., No Vacancy has carved out two distinct types of ambience. The first is more downtempo, pairing happy hour cocktails and food with smooth jazz or a blues band playing in the background. The other is a more fast-paced, late-night atmosphere catering to an older yet still lively crowd, bringing in world-class artists to play in the lounge's high-tech booth. "It's great to see how many people in their 30s and 40s have come in here and finally feel comfortable going to a dance show again because their feet don't stick to the ground and the cocktails don't taste like rubbing alcohol," Sheinin says. For Sheinin, the future of No Vacancy is an open book yet to be written. He hopes to continue working to improve the club's food and drink program, update its production system and grow its in-house membership, which includes access to a private mezzanine level and lock boxes for bottles. As with any project, there are still kinks to be worked out, but for now, he and his partners are riding this wave of success as it brings in more customers, musical artists and new experiences. "My hope is people enjoy it as much as we do. It's been a long road, but we'd love to see some hometown friends from Lake Oswego come out," Sheinin says. "We're just so happy to reinvent this iconic space that started McCormick & Schmick's empire in the '70s. It sat here for eight years, vacant, just waiting for someone like us to do something with it."